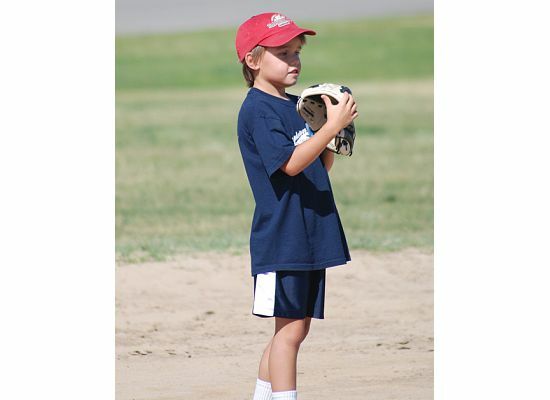 * Baseball/Tee Ball: Skill development program, ages 4-6. 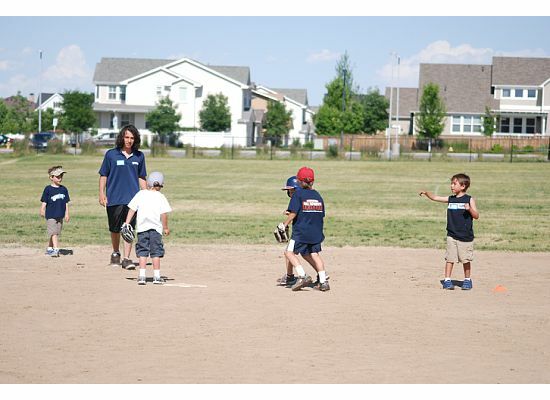 Kids will work on learning positions, hitting, throwing, catching, and running the bases. Program will take place at a TBD Stapleton or Park Hill location with a 4:30 to 5:30 and 5:30 to 6:30 program on Tuesdays (4/2 to 5/21). $135/child. 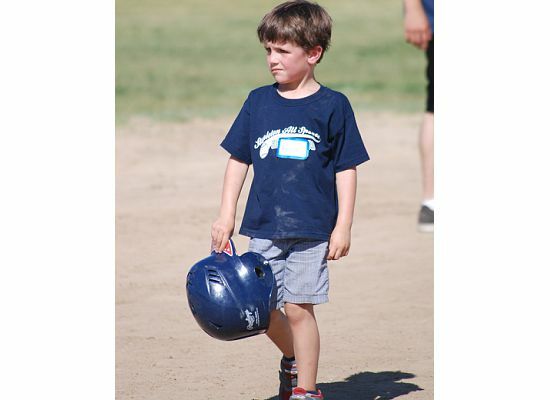 * Lil' Bombers Baseball League: Coach-pitch, competitive baseball program for kids ages 6/7- 10 (born after 5/31/08). Maximum number of participants will be 100. We will keep outs, scores and standings and have playoffs at the end of the year and trophies for the first and second place teams. 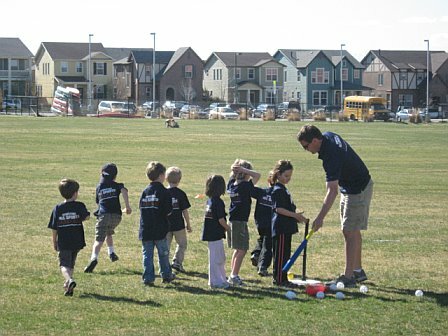 Parents may select one car pool teammate that will automatically be on their team. 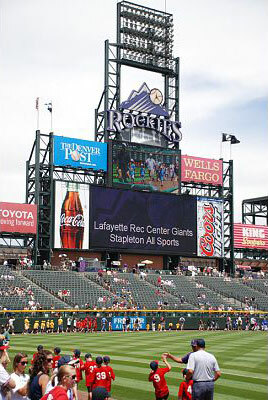 Games will be on Saturday at the Stapleton MCA Baseball Fields near Stanley Marketplace. 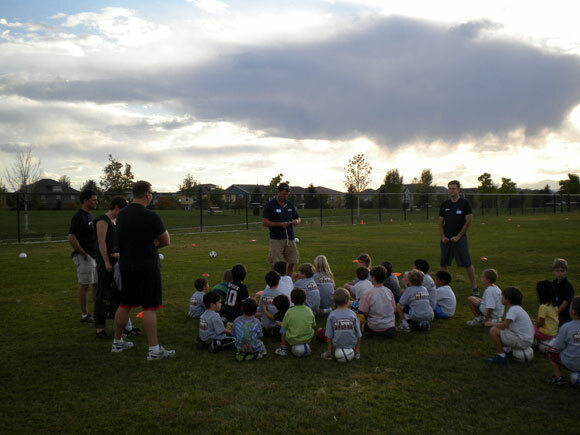 Weekly practices will be arranged by the coaches of each team. Program begins 3/16 and the final placing games will be 5/25. $170/child (includes pants, Jersey, socks, hat, belt). 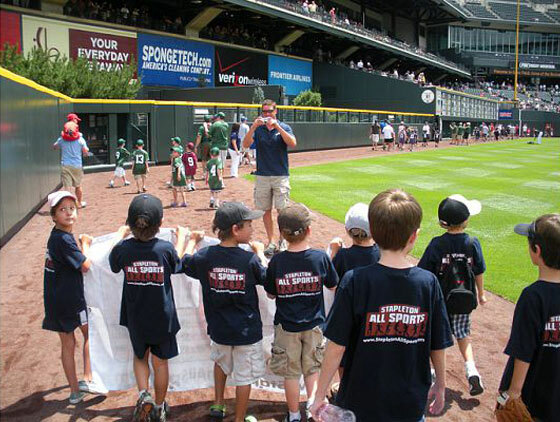 * All children participating in the Lil Bombers Baseball League or Baseball/Tee Ball program will have the option to attend a Sunday Rockies game with their family (TBD date). 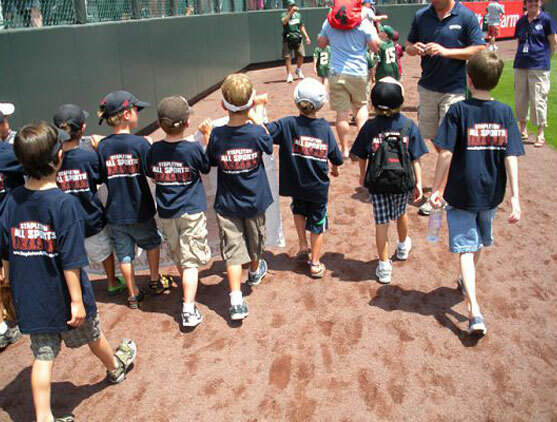 Tickets will be $12 each, and the kids will get to walk around the outfield with the coaches prior to the game. We will send out more details as we approach the game. 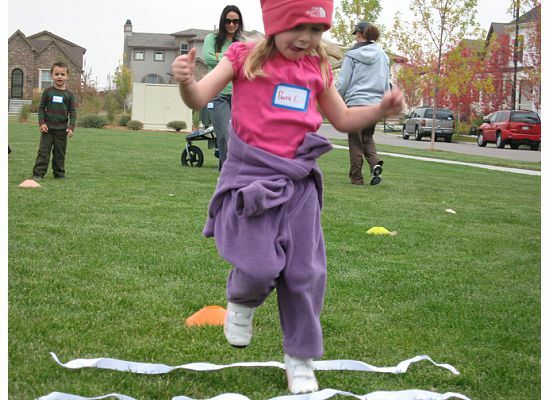 This 7-week program provides little ones and parents the chance to have fun and interact with others while gaining an early understanding of ball sports (running, throwing, dribbling, kicking, etc). 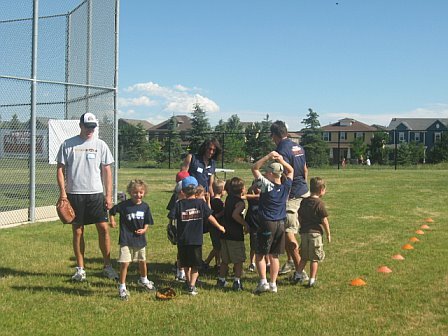 Parents will be required to stay with their child during the practice. 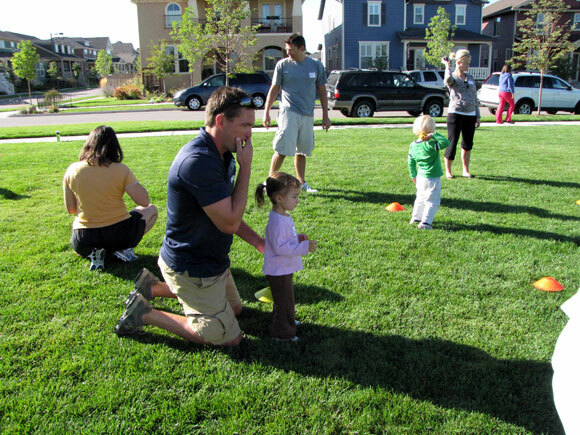 Practices will be at F-15 pocket park in Stapleton on Monday mornings from 9:15 to 10AM. Program goes from 4/1 to 5/20. $80/child. 9AM to 12PM, Each weekly camp (6/10-6/14, 6/17-6/21) will focus on the fundamentals of tennis, including learning to serve, forehand and backhand ground strokes, and volleys. The kids will play skill and mini-tennis games to keep the learning fun. 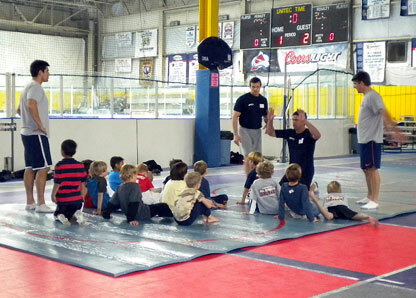 Each day, kids will be divided into groups based on age and skill level. The kids will get 10-minute breaks in between sessions for water and snacks. Participants will be expected to bring water bottles and snacks for breaks. 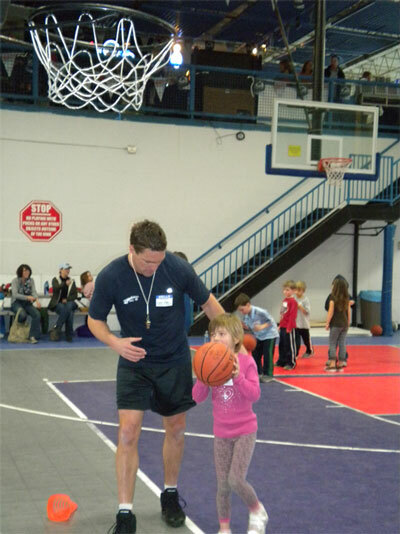 Each weekly camp will allow a maximum of 40 kids. Camps will take place on the McAuliffe Jr. High Tennis Courts (2540 Holly St. Denver, CO 80207). $190/week, or $335 for both weeks. 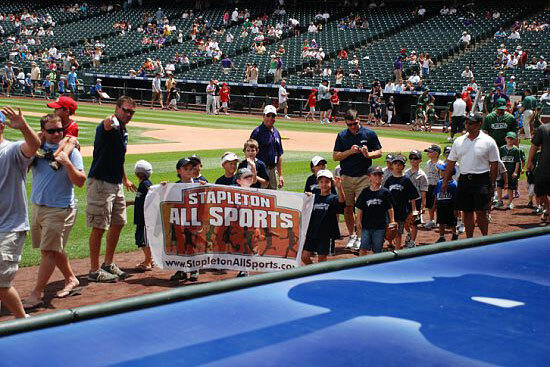 Stapleton All Sports is partnering with ExperienceGolf® at CommonGround Learning Center for a four-day golf program designed for juniors of all ability levels. 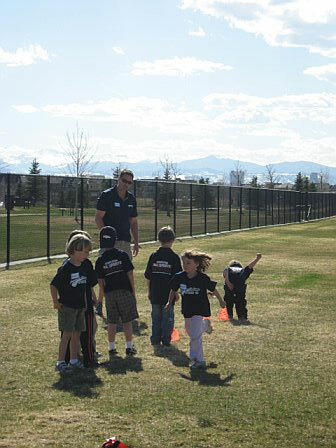 The program will focus on basic golf technique, basic rules, etiquette, and the development of social skills. We will spend a significant amount of time on the Kid's Course and explore how to apply the lessons we learn from a hole out perspective. 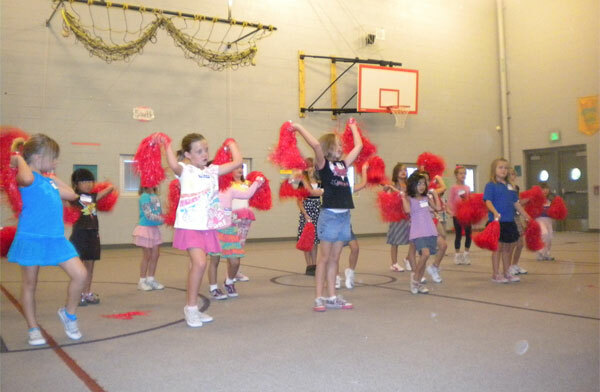 Games and competitions will support the learning in a fun and safe environment. Course will be taught by ExperienceGolf Staff Coaches. The camp will take place June 20th, 21st, 27th, and 28th from 1-3PM at CommonGround Golf Course. Program must have a minimum of 8 and maximum of 20 kids. $175/athlete. Players should bring water, sunscreen, hat, and comfortable closed shoes. No flipflops/sandals, T-shirts or denim please. If they have their own clubs they can bring as well. 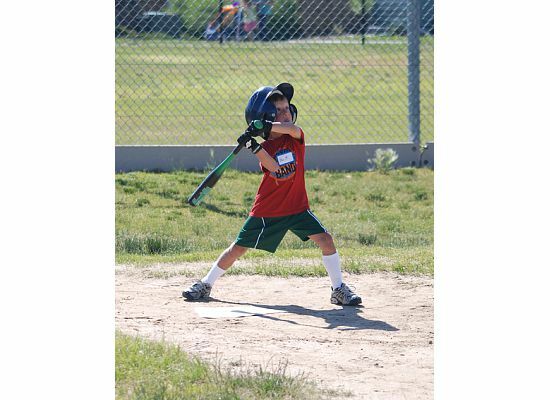 9AM to 12PM, Each weekly camp (7/8-7/12, 7/15-7/19, 7/22-7/26, 7/29-8/2) will rotate through soccer, gym/Olympic sports, baseball/tee-ball and football. Each day, kids will be divided into groups based on age and skill level and will rotate through four (4) 30-minute sessions focusing on the various sports, with 10-minute breaks in between for water and snacks. 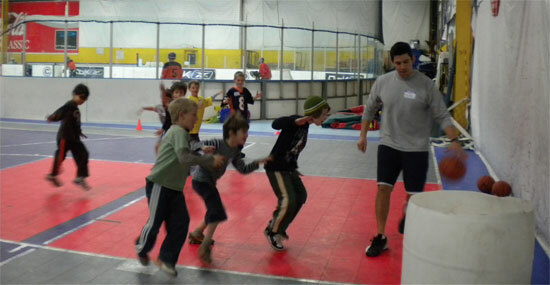 At the end of each day, we will have a fun relay race focused on one of the four activities. 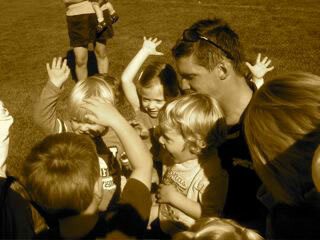 The games will change each day of the week, keeping kids engaged and excited to come back for more. Participants will be expected to bring a water bottle and snacks for breaks. The final day we bring Happy Bakeshop cupcakes for the kids and have a water balloon fight. 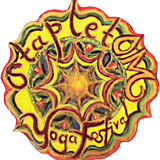 Camps will take place at Central Park in Stapleton near the pond. $160/week or $550 for all four weeks. 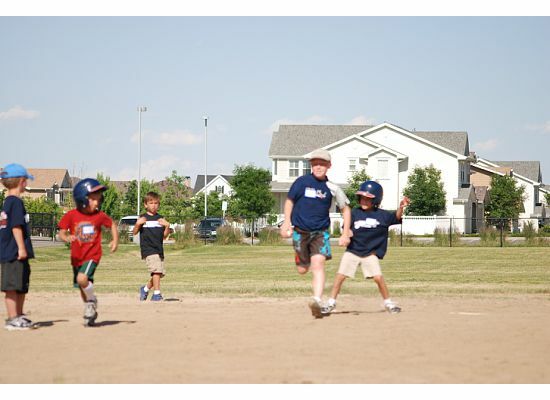 Baseball/Tee Ball: Throwing, catching, hitting and baseball games. 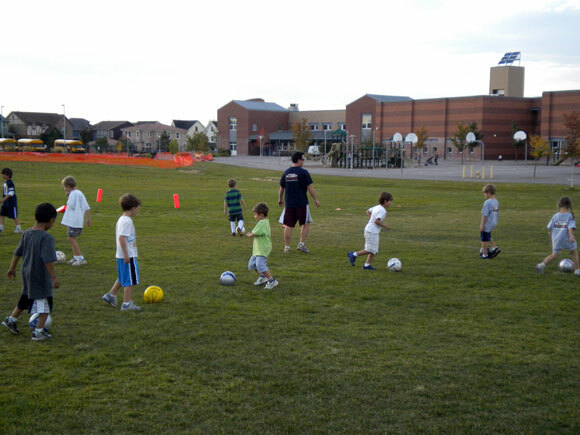 Soccer: Passing, kicking, shooting, fun soccer games. 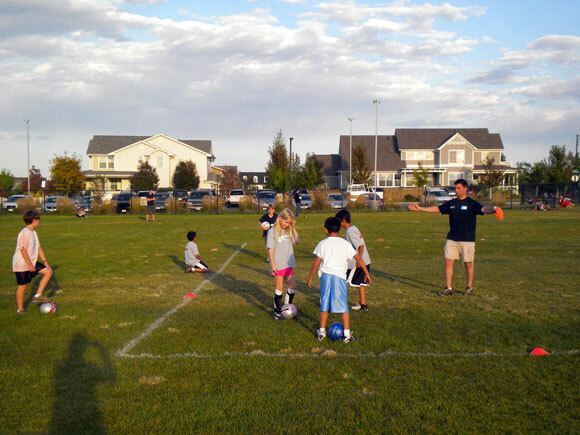 Football: Agility, throwing, footwork, flag grabbing and tagging games. 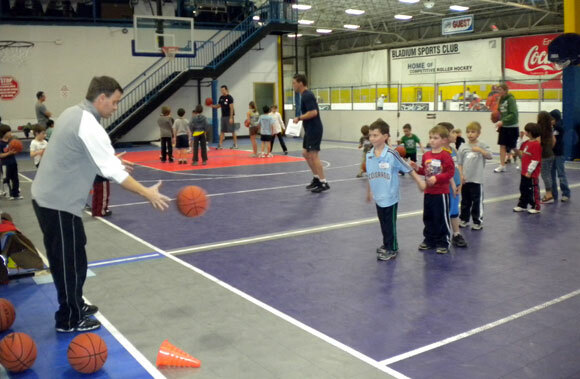 Gym/Olympic Sports: Dodgeball, kickball, relay races, etc. 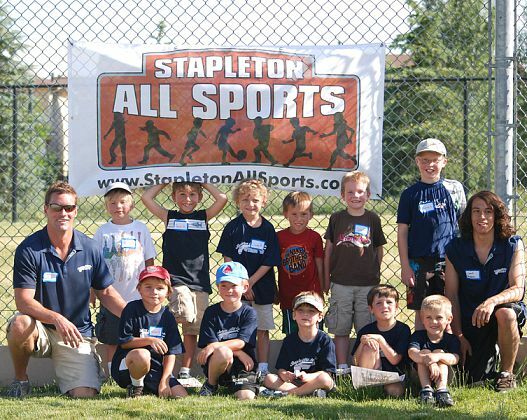 Stapleton All Sports (or what we are dubbing Stapleton "OLD" Sports) is partnering with Stanley Marketplace and beginning an adult, 6x6 co-ed, grass court volleyball league. 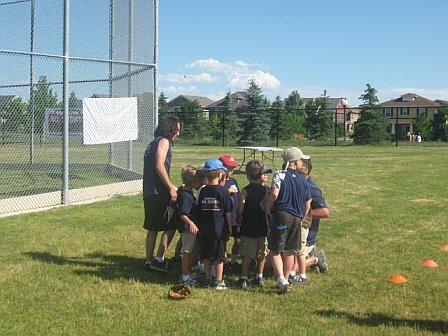 Coming this summer (June 20th to August 15th), games will be on Thursday nights at the Stanley Fields from 6:30 to 8:30. Teams may have up to 10 people over the age of 21 on their rosters, and during games, each team must have a minimum of three women on the court at one time. Each night you play 2 matches for a total of 6 games. Program will run for 8 weeks (no games on 7/4). The fine establishments from Stanley will provide players the opportunity to purchase food and beverages at the fields. This is a great opportunity to socialize and compete with friends and neighbors at a fantastic venue. $450/team. *In case of inclement weather, make-up dates will be posted. 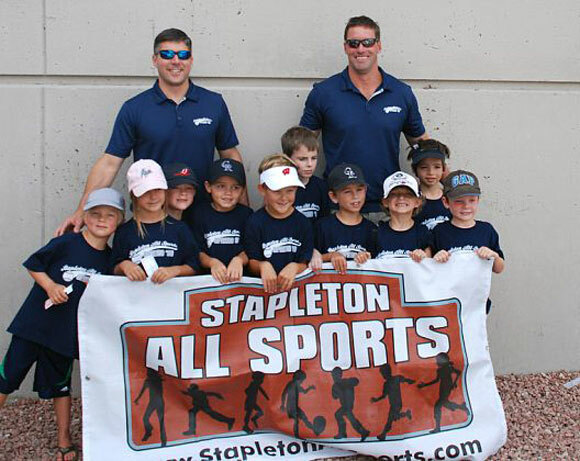 League Flag Football (ages 6-11): This 11 week program offers one week of skill development and player evaluation, two weeks of practices, and then nine weeks of games and practices including playoffs. 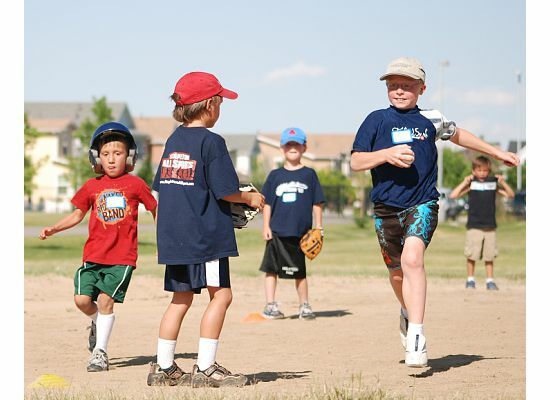 Kids will be divided into teams based on age and skill. Games will be on Mondays with one Thursday game. No weekend games! 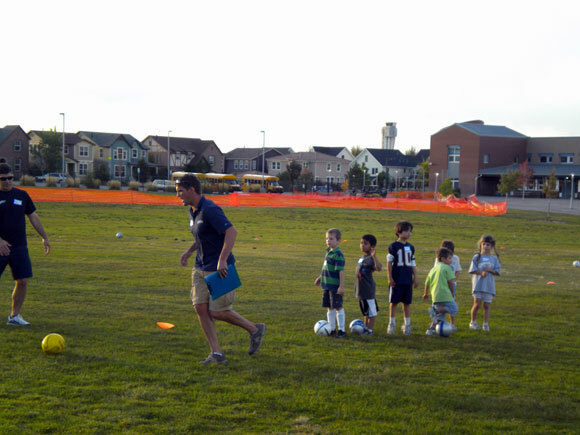 Coaches will work with the parents of the athletes to find a convenient time to practice once a week. We will keep scores and standings and the first and second place teams receive trophies. 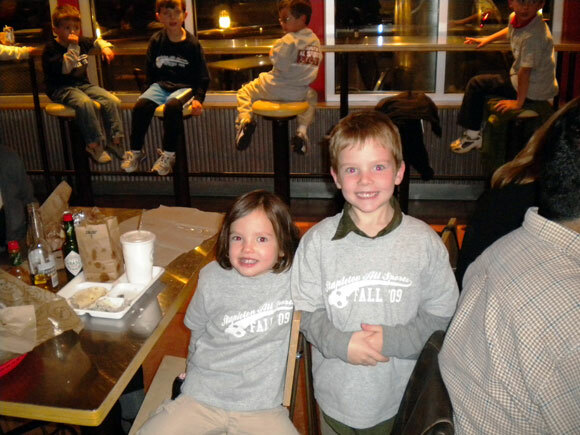 Parents may select one or two carpool teammates who will automatically be on their team. Games will be at the field at Stanley Marketplace or MacAuliffe Middle School between 4:30 and 7PM. $125/athlete. 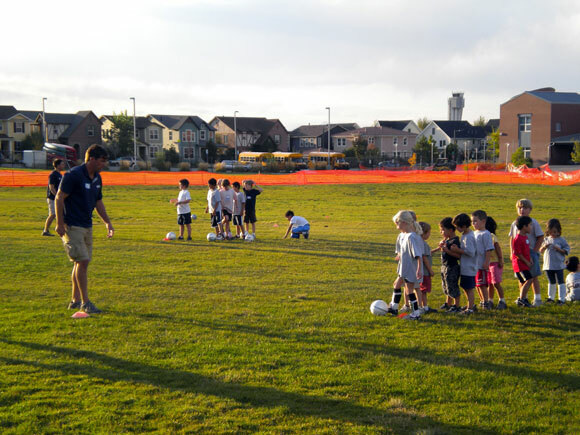 Soccer Skill Development (ages 4-8): This 8-week program will focus on the basic skills of soccer, engaging drills, and fun games. The first two weeks will be completely skill focused, followed by three weeks of half skills and half controlled scrimmage, and the final three weeks will be a game the entire time. 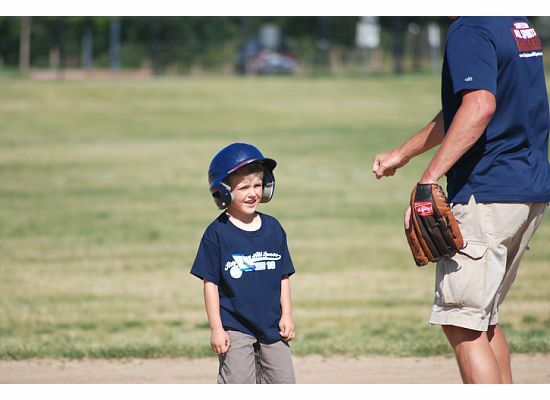 This program is great for little ones first exposure to the sport, or older athletes who are not quite ready to be traveling the state. 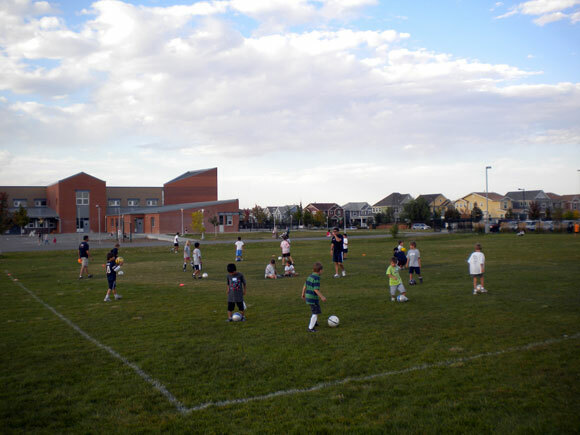 Practices will be at a TBD Stapleton location on Tuesdays with both a 4:30 to 5:30 and 5:30 to 6:30 option. $145/child. 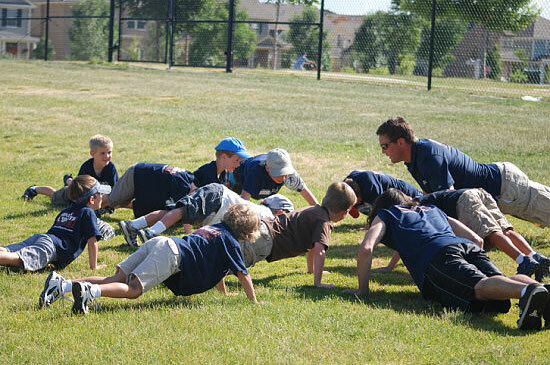 Football Skill Development (ages 4-6): This 8-week program will help foster your child's interest in America's game while focusing on the basic skills including footwork, ball drills, defensive drills, blocking, etc. 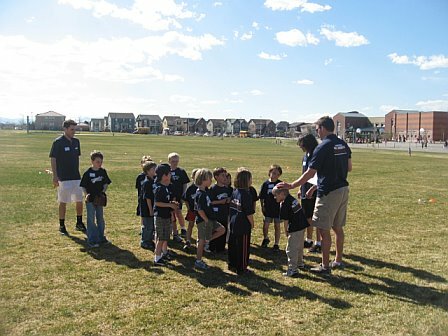 Practices will be at a TBD school in Stapleton on Wednesdays from 5-6PM. $145/child. 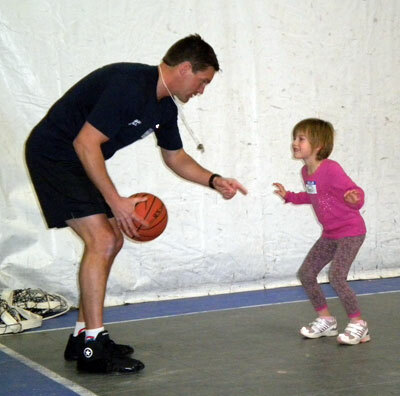 Early Ball Skills: Mondays, 9:15 - 10:00AM. 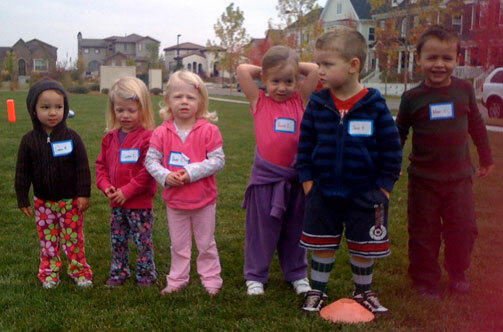 Early Ball Skills (ages 2.5 to 3): This 7-week program provides little ones and parents the chance to have fun and interact with others while gaining an early understanding of ball sports (running, throwing, kicking, etc). 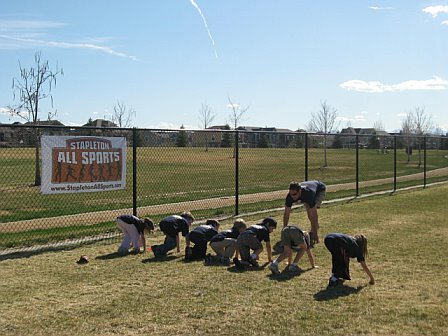 Practices will be at F-15 pocket park in Stapleton on Monday mornings from 9:15 to 10AM. $80/child. Wrestling (Boys & Girls ages 5-12): Wrestling is a tremendous sport to help kids learn hard work, positioning, and self-confidence. Competitors will learn take downs, stand ups as well as pinning combinations in a structured environment which will include drilling and live wrestling with other athletes. Program will be on Thursdays from 4:30/5:00-5:30/6:00 (time not finalized yet) from 1/10 to 3/14 (10 sessions). 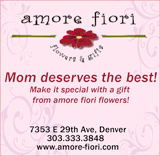 Classes will be at a TBD Stapleton/Park Hill location. $170/child, limited to the first 30 competitors due to mat space. 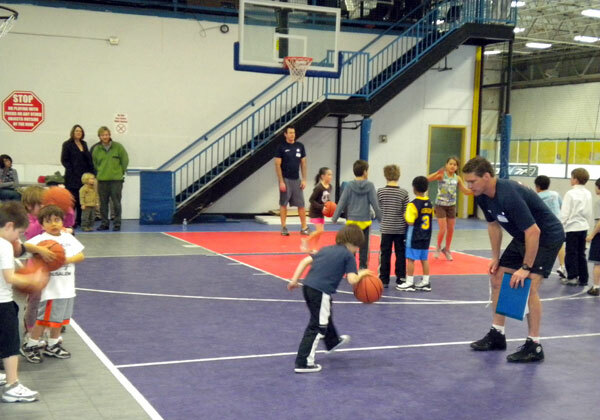 League Basketball (Boys & Girls ages 7-10): Our league basketball program (not on weekends) allows kids practice time with their team along with seven games during the season and playoffs. Teams will be divided into roughly 10 players and we will keep scores and standings. 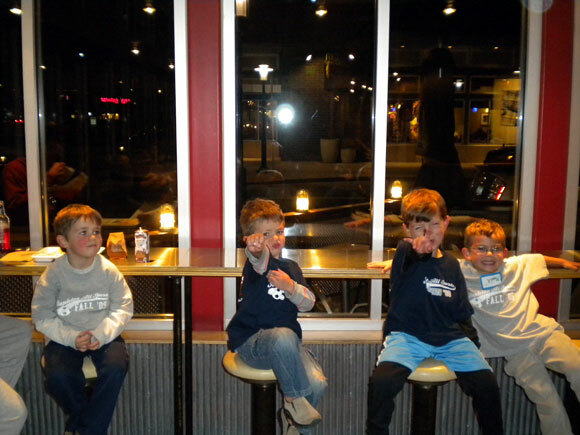 Kids may have one carpool teammate that we will guarantee on their team. 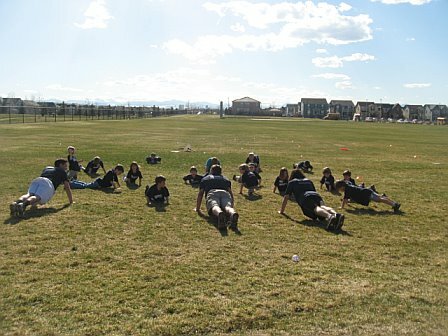 The majority of games will be on Mondays (4:30 or 5:30), with practices on Wednesdays (4:30 or 5:30) at TBD Stapleton or Park Hill location(s). We will have a tournament for the final games of the season, and the top four teams will receive trophies. $175/child, limited to the first 100 kids due to court space. 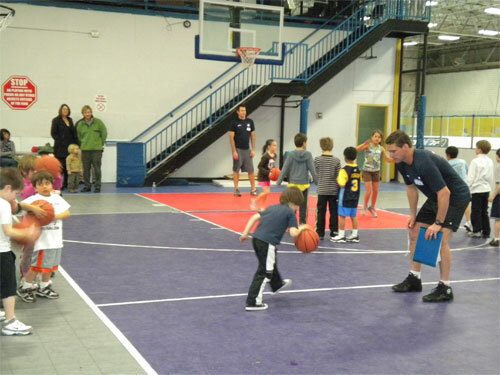 Basketball Skill Development (Boys & Girls ages 4-6): This 8-week program helps kids learn the basic skills of basketball through structured drills and fun games for the kids to enhance their abilities. 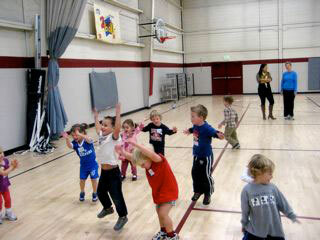 Tuesdays, 4:30-5:30 or 5:30 to 6:30 from 1/8 to 2/26 (8 sessions) at Moorhead Recreation center. 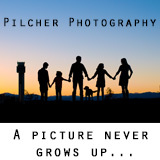 $150/child, limited to the first 100 kids (50/class) due to court space.